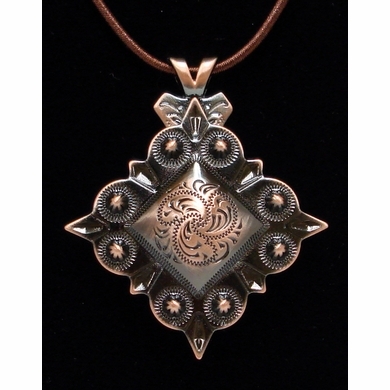 Domed center Floral engraved Diamond Shaped Berry border Antique Copper Finish Concho Necklace. 1 1/2" wide Concho. 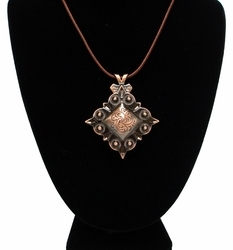 Fabric Necklace is 19" Long with nickel plated chain clasp.